The likelihood is when we hear the term “ child with medical needs” we will all have dramatically different mental images of what that child will look like. With this in mind, it is important to understand that much like our own mental images, the children in a “Special Needs” program will very greatly. Deciding if a need is minor moderate and complex are very personal and subjective terms. For example: some people are open to a missing limb. They figure there’s no surgery and a child will learn how to manage without the limb they were born missing. Others feel like that is a permanent visible need and is therefore more complex than they are comfortable with. Others feel heart conditions are minor as there are some that take only a surgery and some monitoring. Others feel like the heart is a vital organ and anything having to do with the heart is major. Generally speaking “minor needs” tend to be needs that most people are open to. Most often this are not needs that are life threatening or life altering in a what would most consider a significant way. Moderate needs and complex needs are also in the eye of the beholder. The children who wait on the list for years tend to be children that have more complex or moderate needs – defined as such by the fact that fewer families are open to the needs they have. When you agree to adopt through the Special Needs program, you are agreeing to adopt a child with some level of a medical or developmental need, however you are able to determine which needs your family can handle, and which children you will consider. It is important for families to understand that they will not be “expected” to adopt a child that may have a severe need, if the really feel only equipped to handle a child with a mild need. Furthermore, adoptive families are not only allowed to select which category of needs they can handle but specify WHICH particular needs they are open to. (So for example you can be as specific as “we will only parent a child with a minor need including only missing digits, mild anemia and repaired club foot “ or state “we are open to a child with all needs in the Minor, Moderate and Severe needs including CP, major heart issues”). The first main point is that even when participating in the Special Needs program, families still retain control over which needs they can accept. The focus of this blog is really to help families struggling if they should consider a child with an unrepaired medical need, or a need that will require some level of care once they return home. While we all define “minor” and “moderate” differently, generally speaking, we consider children with a moderate or greater need to be a “medical/developmental” need child. Adopting from a special needs program, takes a certain type of conscious consideration. As a parent of biological children that were diagnosed with things like cancer, and major birth defects I never had a choice or had to “select” what I could handle. In some ways it was easier. I already loved my child, they were so much MORE than a medical need, and by the time the medical challenges came along, I was already their mother and ready to go to war for them. Unfortunately, with adoption from a SN program, we often pick our medical need, and THEN find our child. I have always hated that….I hate that the first thing we define our child by or focus on the most is their medical need, when they are so much more. We are a society that knows we should not define people by their disability or special need, yet we are forced to begin the process of adopting by focusing on that aspect of our child. 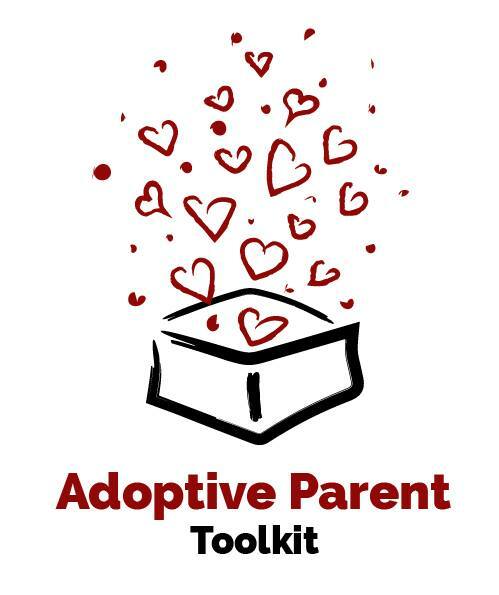 That being said it is ironic how many adoptive families ultimately toss their medical checklist when they fall in love with a child; If you speak to ten adoptive parents from a special needs program, I would guess about three or four of them would say, they ended up adopting a child whose medical need (or gender or age) was no on their “checklist”. The truth of the matter is, love can often propel us to take on challenges, and for completely illogical reasons we end up falling in love with a child just from a picture and suddenly we feel compelled…and brave …and strong. No judgment here. I did it. My daughter’s medical need was not on my original “checklist” of needs I could handle. Yet, after a little (okay a lot of) education, talking to other parents of a child with the same medical condition, and let’s face it – the oooeey gooeey love I felt when I saw her, I became hers. However, do as I say not as I did (laughing) – allowing your heart to get the best of your decision-making process is okay as long as there are a few logical decisions made. There are some very real questions that one can ask to understand what are they truly equipped to handle when it comes to children with medical needs. The reality is, as unfortunate as it is, there are some real implications to having a child with medical needs that have to be addressed and require some very careful self-examination. This is not being cold. This is not being cruel, or picky or discriminatory; It is about being fair to you, your family and the child you adopt. Frankly speaking not every parent IS equipped to parent every child and allowing yourself to adopt a child out of guilt, does both you and that child a huge disservice. Every child deserves a family that is excited to bring them home, well prepared for what they will need, and a family that feels more excitement and joy than terror at the thought of their adoption. So, where to begin? What are some of the questions that can help you evaluate if you are ready to pursue adopting a child with a medical or developmental need? What kind of access to medical care do you have? From a geographic perspective some people simply do not have access to the medical care some children with SN will require. Some of my great friends in the Mid-West are hours away from a therapist, a clinic, or the specialist some medical needs would require. Consider how feasible it will be to get to medical specialists given where you live, especially if your child will need weekly, or monthly visits. What kind of health Insurance do you have today, and will likely have in the future? If you do not have medical insurance some special needs will be very difficult to manage. My daughter has major thalassemia. Every three weeks my insurance company is billed $5,000+ for her transfusions. If I did not have insurance her care would cost our family out-of-pocket over $70,000+. Honestly, even WITH insurance her care can cost our family over $10,000 a year between co-pays, deductibles, procedures, etc. Beyond health insurance, finances must come in to play. (I know, I know, yuck.) No one wants to really think about something as petty as money when considering a child but it is worth at least a tip of the hat J. Beyond your health insurance, will you have the finances required to pay additional and unexpected bills, take time off of work, etc. if that is what your child would need? Not every medical need is going to require a great deal of time out of daily life. For example, a child that has recovered from cerebral palsy or has had a minor heart defect repaired may just require an annual visit to have a check up, or no therapy at all. However, some needs – like a repaired cleft lip/palette may not have any further therapies or could require extensive speech therapy, dental surgeries, and extensive orthodontia. It helps to be prepared for the range of times a need may demand. Would you have the time required for a “worst case” scenario of a medical need? Will the demands of your current job, other children, etc. allow you the time truly required for a child with a medical need? How well do you cope with medical issues? I will tread lightly here because in some ways I do not feel any motivation to love a child is truly a “bad” one, but I think it is very important to consider what your motivations for adopting a child with medical needs are. Adopting a child out of guilt or because they are sick and have “no chance” without your family is a dangerous motivation. That is not to say that if you did adopt for these reasons it would be impossible for it not all to ultimately be wonderful or the perfect match, it is to simply say that no one should feel prompted by guilt, to take on a challenge they are not truly equipped to handle – for their sake and the child they would be bringing home. While most of the time (98% of the time) you will not even THINK of your child’s medical need when you define them in your heart once they are home, doctors appointments, medications, co-pays, therapies, are not exactly a blast, and can become a true struggle once the “novelty” wears off. I have personally witnessed adoptions that were born out of community pressures, religious pressure, and guilt, and while all of these families love their child, I know it was a very long road for them to find peace and truly adjust. What is your family structure and current demands? I have a lot of nerve asking this question. When we adopted my daughter with Major Thal, we had three kids with dyslexia that required a ton of extra time and tutoring, and a son that had just completed two years of chemo. We were at least smart enough to wait until our son’s chemo was done (laughing). Fortunately, I was able to realize that while we truly wanted to adopt a child with a medical need, we as a family could not face having a child with a medical need that was life threatening. I considered my other children’s schedules, their own health, and their mental capacity to deal with a “sick” sibling in making our decision to adopt a child with a medical need. In truth, my kids are some of the bravest people I know – and they are often the cheerleaders for going back to adopt again, as they realize without great medical care THEY would not be alive and healthy today. That being said, they had been through a lot and I knew we had to find a good balance for them when selecting what medical needs we could handle. I tell families to think of your own mental capacity for dealing with medical issues, and then of course your marriage, and if you have other children, their own capacities for dealing with the stress of a child with a medical/developmental need. What is your support network? This is not a swipe at your family or friends – I am sure they are all loving and wonderful and will do everything they can to support you and your new addition. However, I would gently suggest that if you plan to depend on anyone to help with your child’s medical care long-term, you might be disappointed. Many families have found that the attention span of the community and friends and families slowly dwindled over time, many times through no fault of their own. Having local family and friends that can pitch in and help occasionally IS helpful, and should be considered as a huge PLUS. Also having friends or a network of children with a similar need (even if they are virtual like Red Threads!!) can be a huge help for medical resources, emotional support, and great information. I would say consider these important for the “YES” column for a medical needs child but recognize the limitations of their support as well. While we ALL need help and support at times, will you be able to manage without having to heavily depend on others to care for a child with a medical need? Many children with medical/behavioral needs will require a little extra…extra love, extra time, extra care, etc. However if you ask most adoptive parents of a child with a medical need they will also tell you they return a little something “extra” to our lives. There is something very special about having the privilege of being the mother or father of a child that has fought medical battles alone, and looks to you for comfort. There are endless special moments and an amazing bond that is formed very often in those moments and facing medical challenges together. Yes, there are hard days. Yes, there are no guarantees that “everything will be okay”, but that is not the nature of having children – biological or adopted. Life gives us no guarantees for tomorrow, but I can assure you there are thousands of parents that have adopted children with medical needs that would not trade their “today” with their child for all the guarantees in the world. ← So You’ve Chosen China, but Now What?